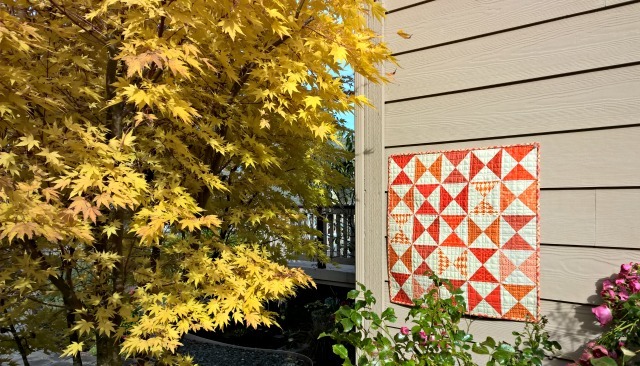 The other day when I needed another diversion from the larger quilts in my queue, I turned to Stacey/SLOstudio's Hourglass Block tutorial, which had just inspired my latest newsletter round-up. Things happen like that. 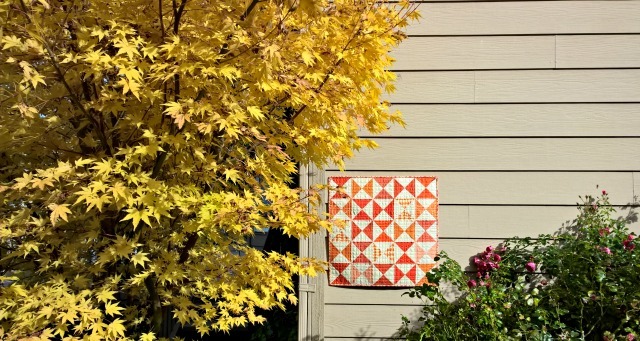 Something small was what was on my agenda - a chance to play with a simple block and seasonal color.... and of course some fun quilting. Lucky for me, her yard was full of beautiful fall foliage, so why not snap a few photos right there? Stay tuned - there are more hourglass blocks to come, but next up are improv! Wow, your mom's yard is definitely full of beautiful fall color right now. 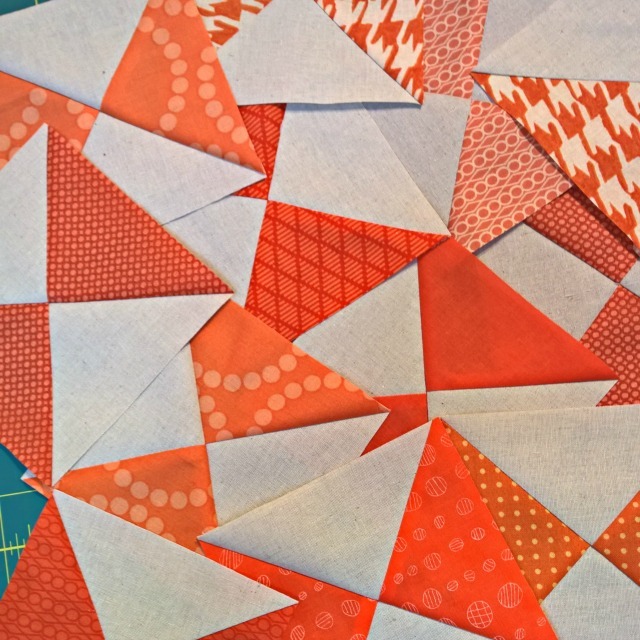 Hourglass blocks can be fun to piece and I am curious to learn about how improv hourglass blocks come together. 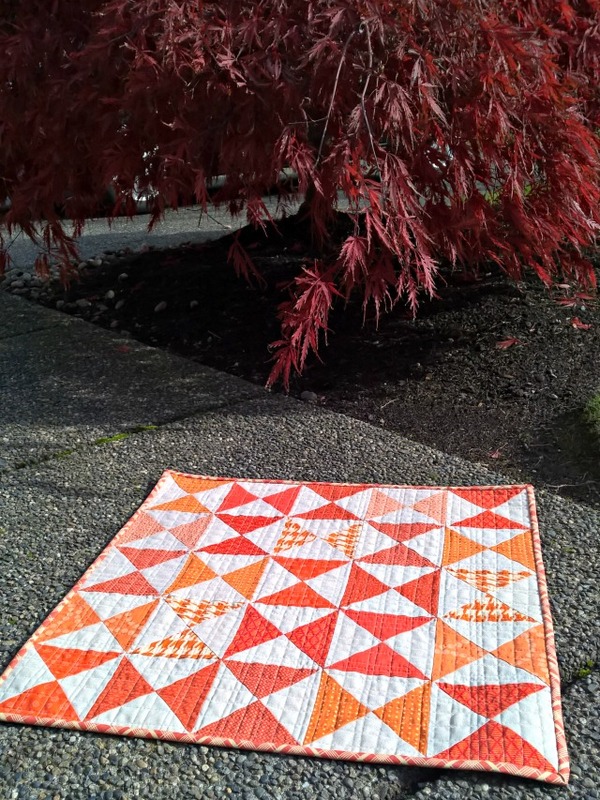 This is a beautiful fall table topper! 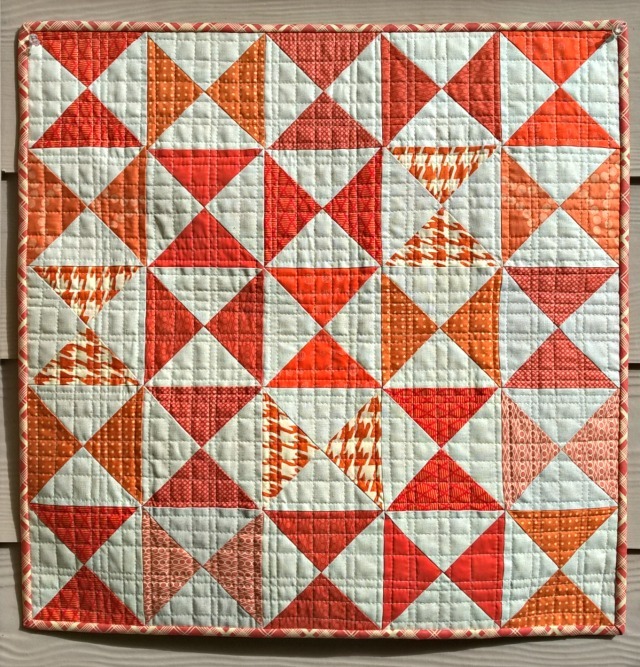 I love the orange and the quilting. Beautiful fall Table Topper. Great fall photos too! 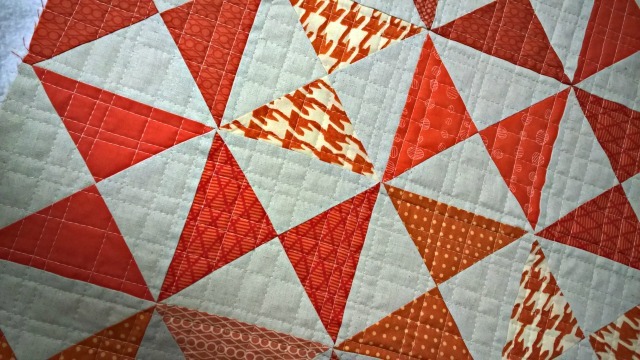 I like orange and I like the way your quilt turned out, and I like the pictures you took. And now I am going to have a look at that tutorial! Thank you for the link and the inspiration!